The 'Wheel' has rolled into town. Vanna White and Pat Sajak are scheduled to arrive in Boston on Wednesday, and their crew has been working steadily to build their set – Boston style. Executive producer Harry Friedman has helmed Wheel of Fortune for 15 years. "I think it would surprise people how many staff and crew it takes to make show look easy," he says. More than 300 people will work behind the scenes to put on 3-weeks worth of tapings at the Boston Convention and Exhibition Center. Each week has its own theme – Historic Boston, College Week and Boston's Got Game. The show has invested $4 million in this production by bringing it to Boston, and hopefully, that will bring a bit of fortune to the city. Friedman says the rest of the country will have a chance to see the very best of Boston. He thinks it'll encourage people to want to come here. 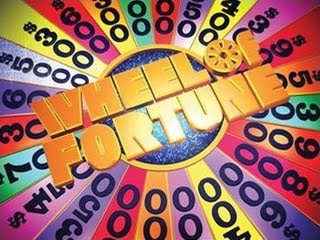 The Wheel of Fortune starts taping its shows on Thursday. The shows will air on TV38 in November.